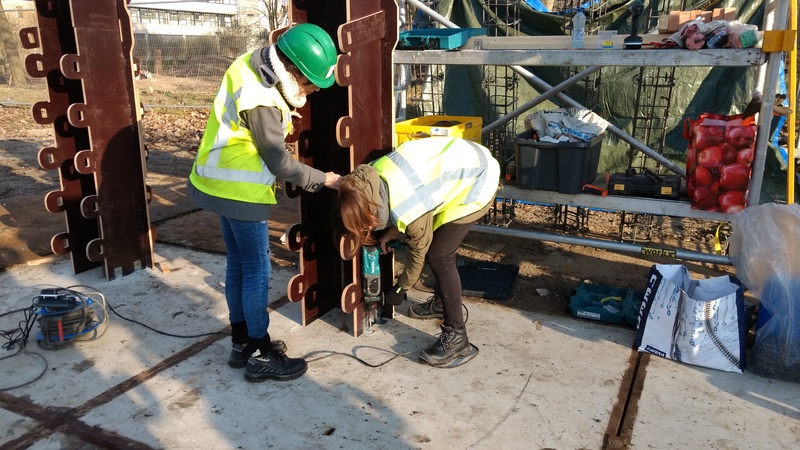 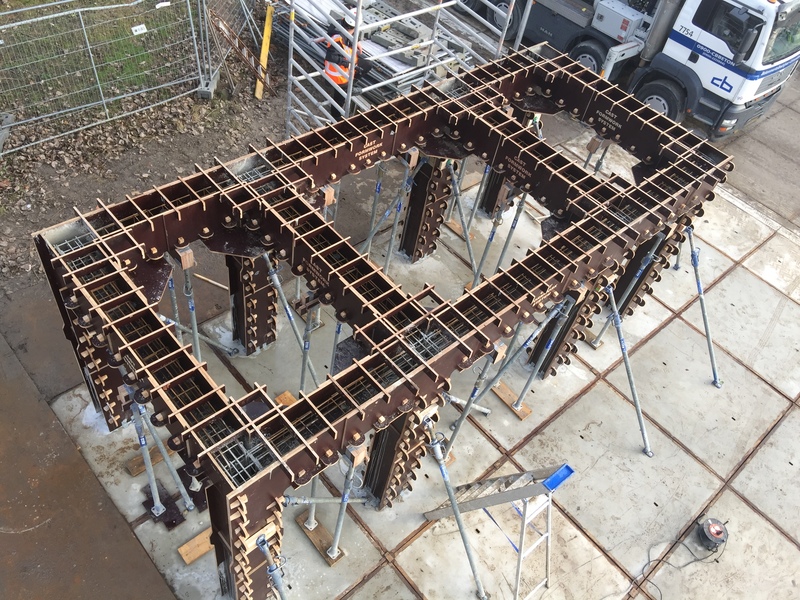 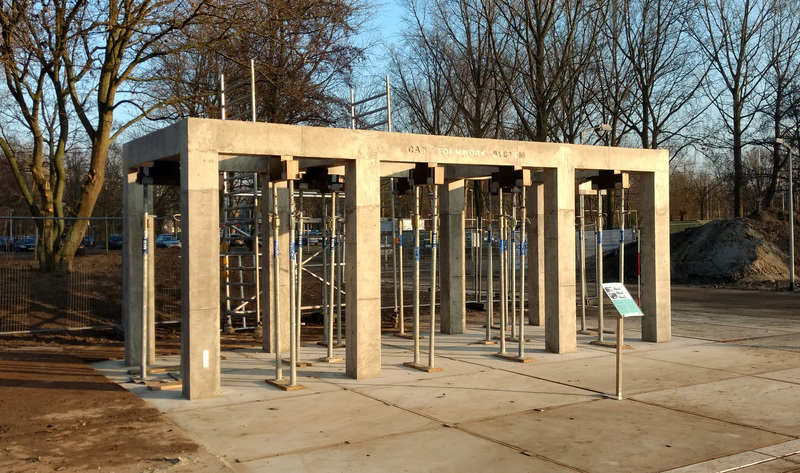 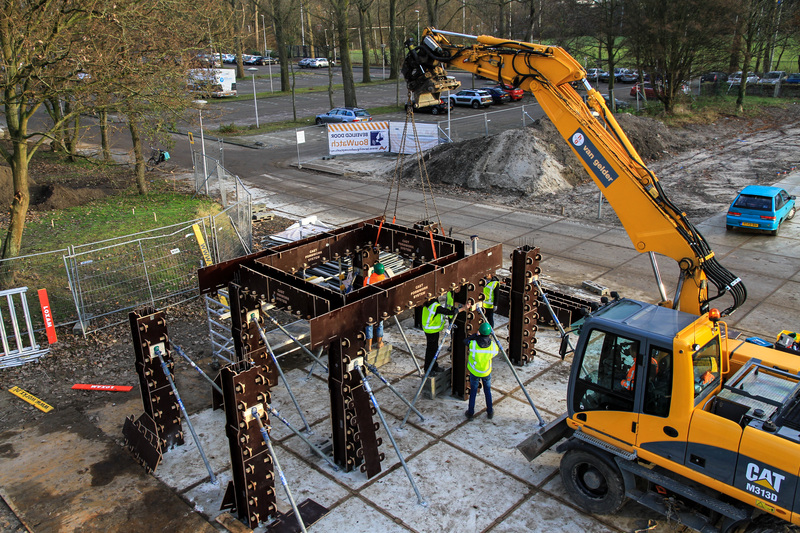 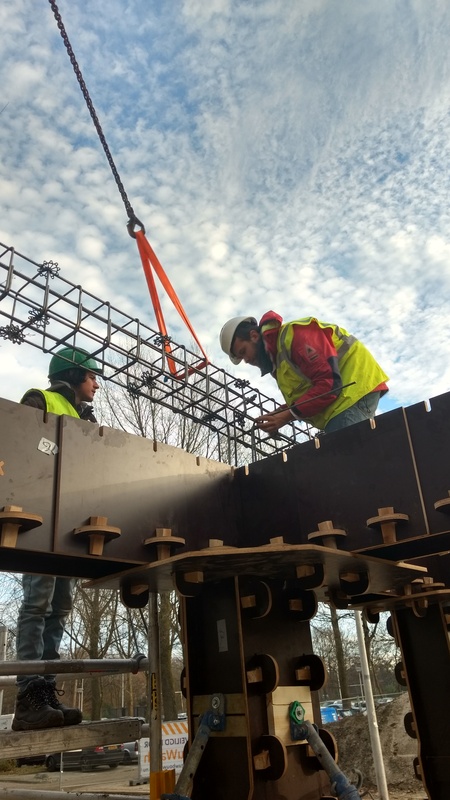 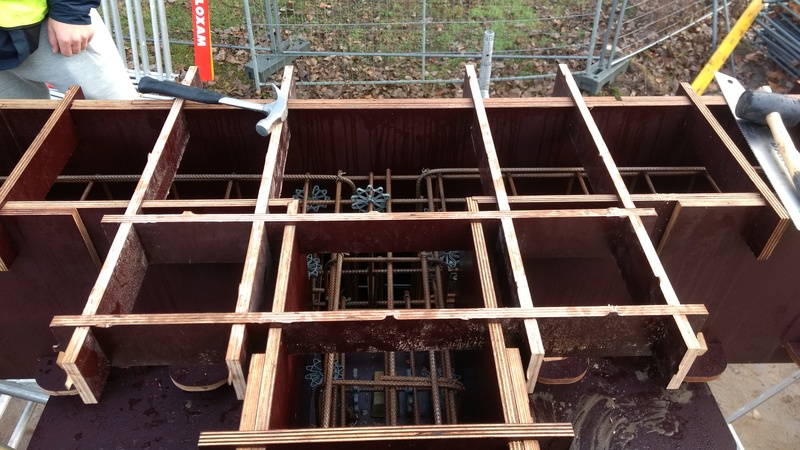 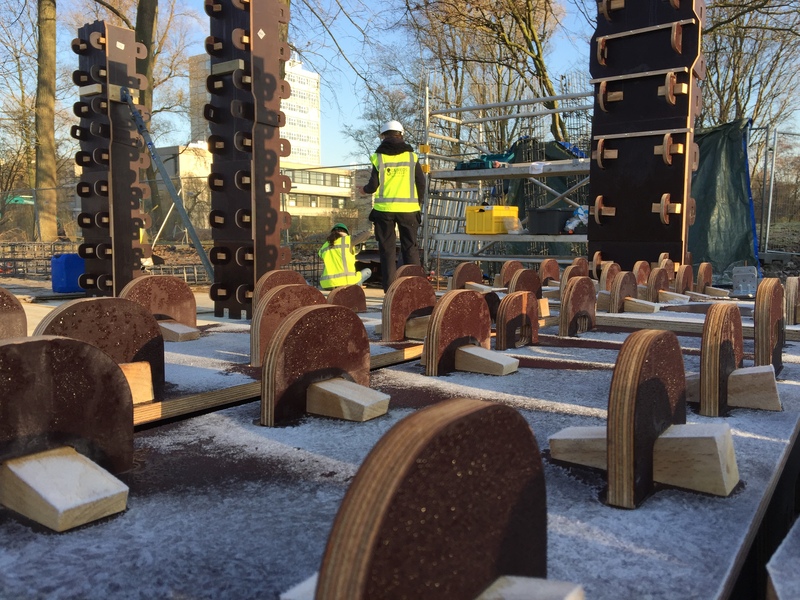 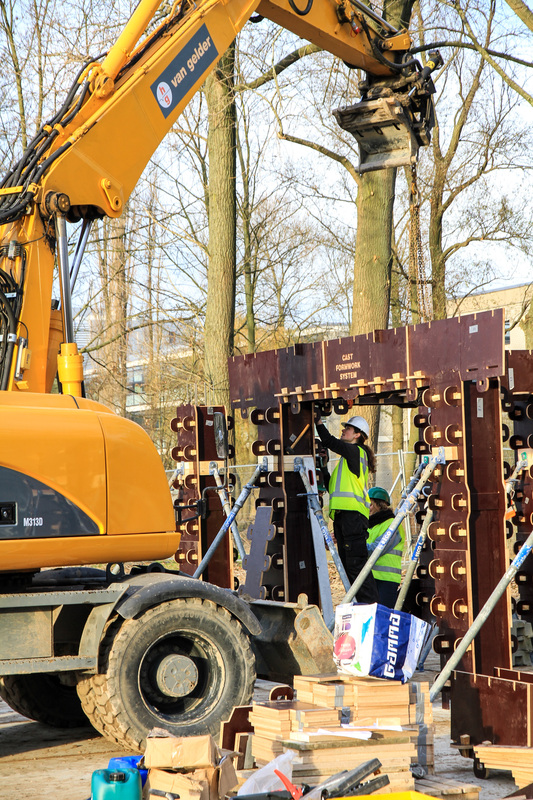 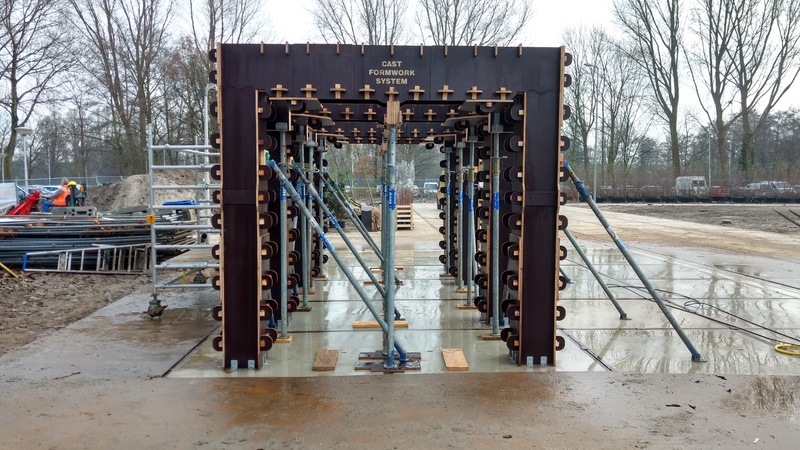 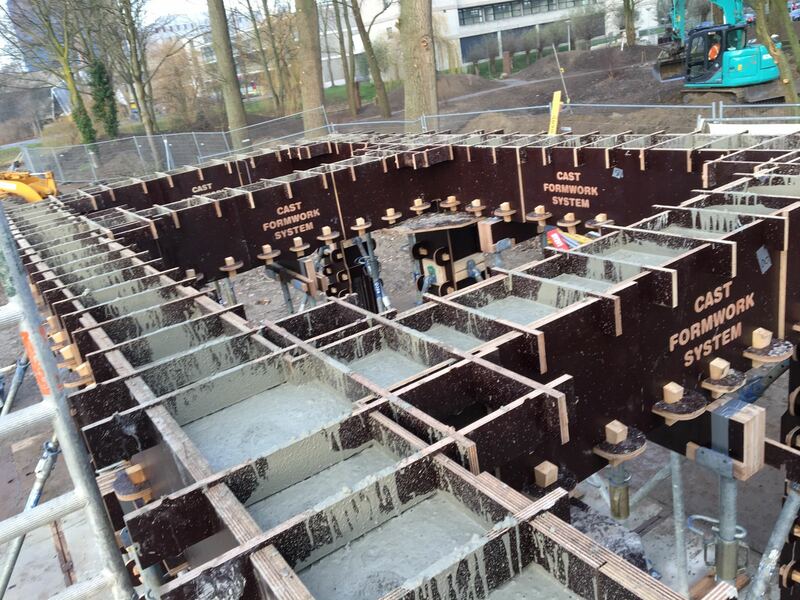 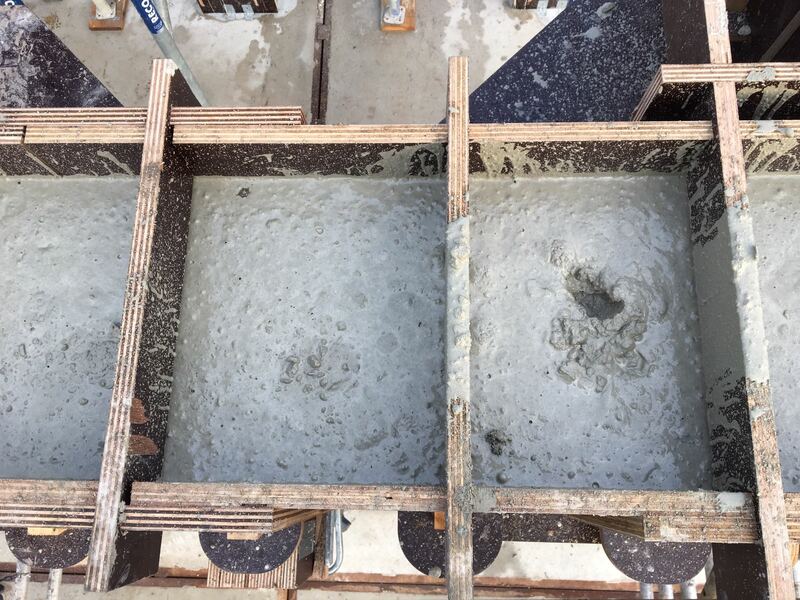 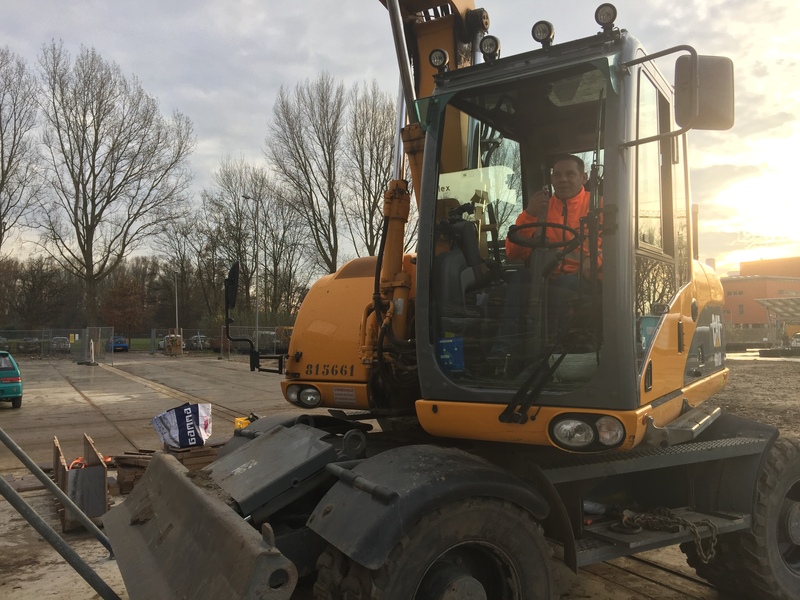 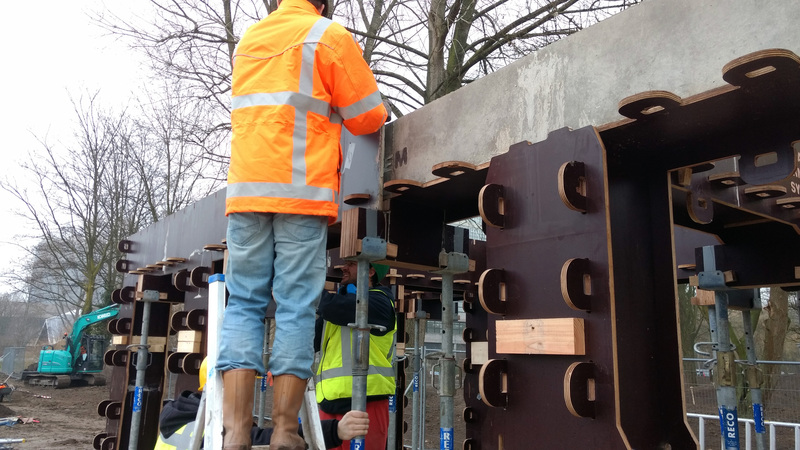 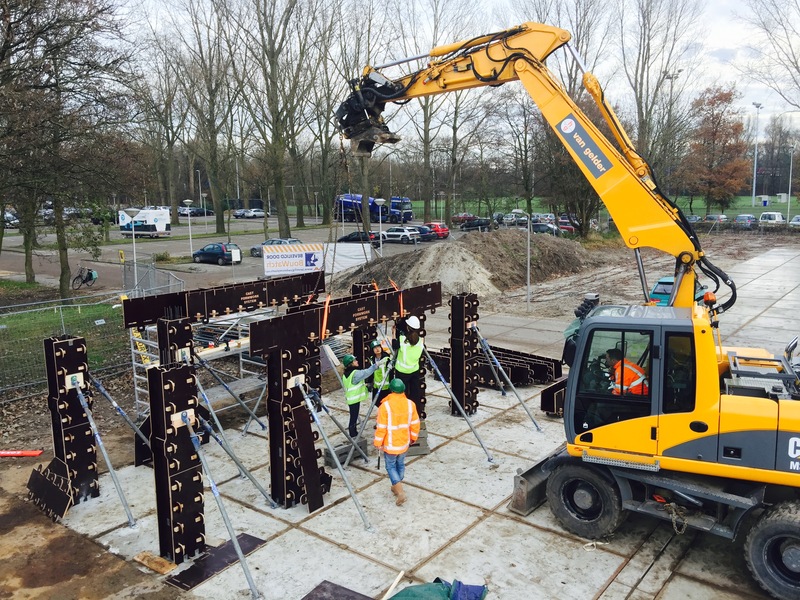 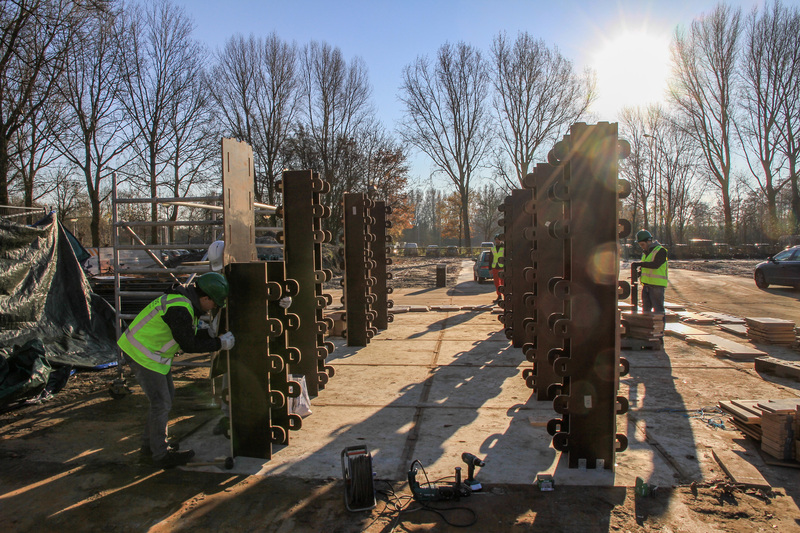 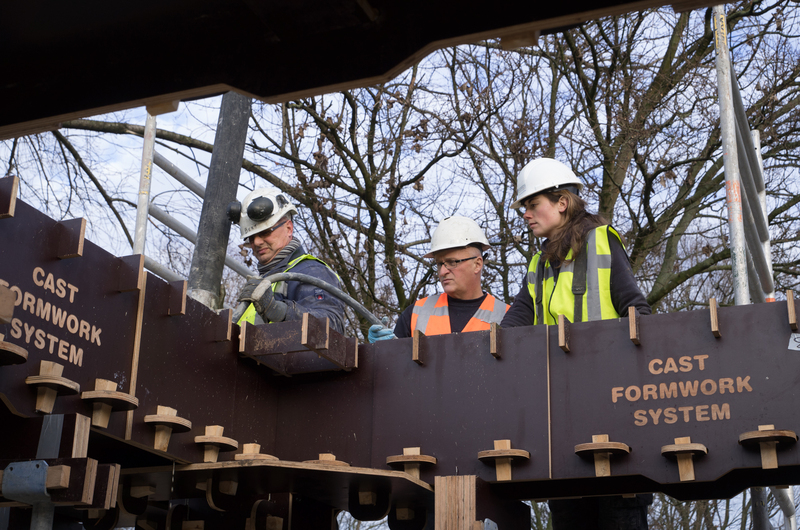 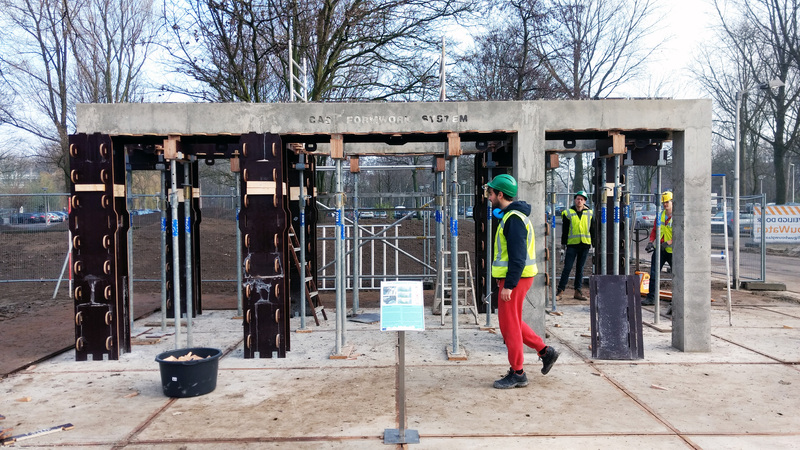 CAST Formwork System build their first prototype in December at the Green Village test terrain in Delft. 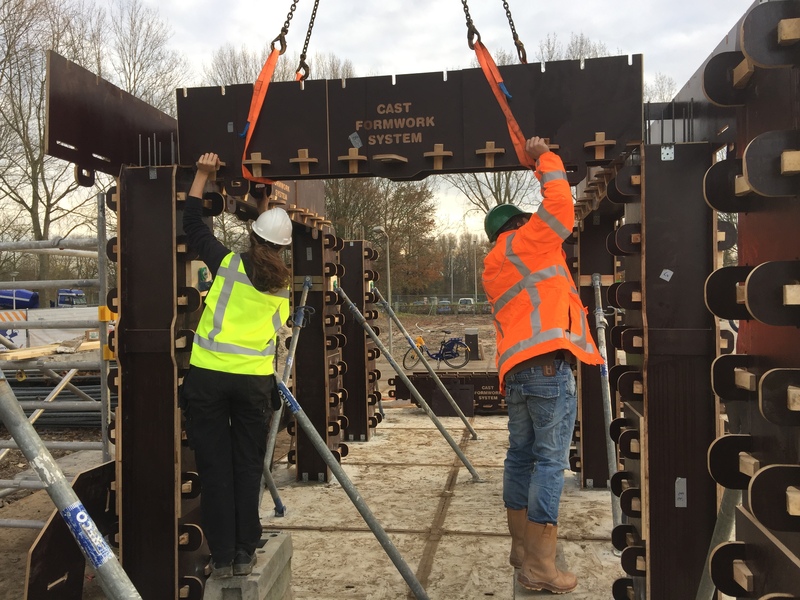 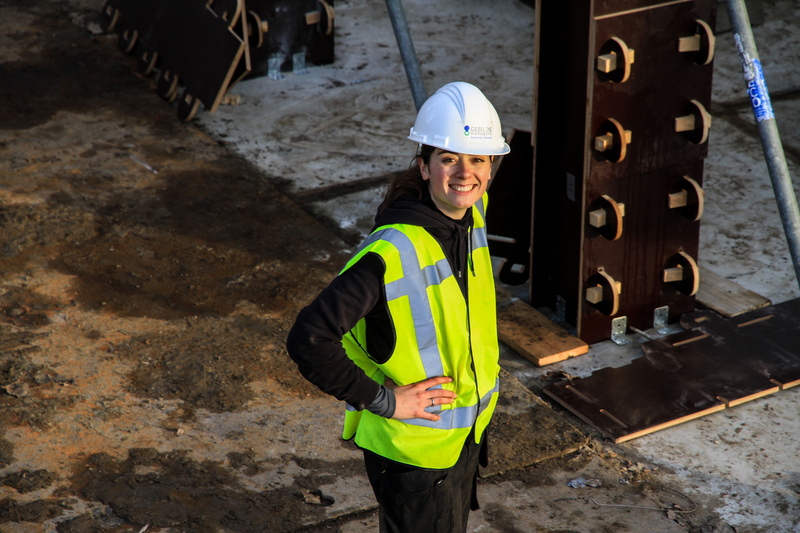 TU Delft graduate student Louisa de Ronde has used CAST Formwork System as a starting point for her Architectural Engineering graduation project. 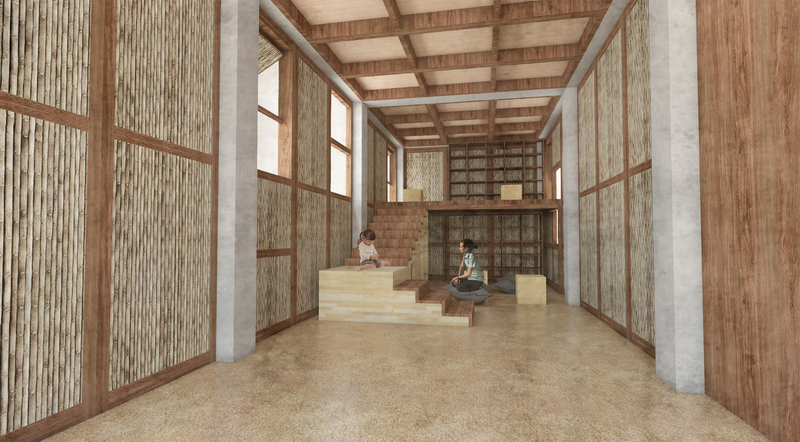 She designed a prefab bio-based infill that uses local materials and an easy to assemble system to provide Kampung inhabitants with a possible infill. 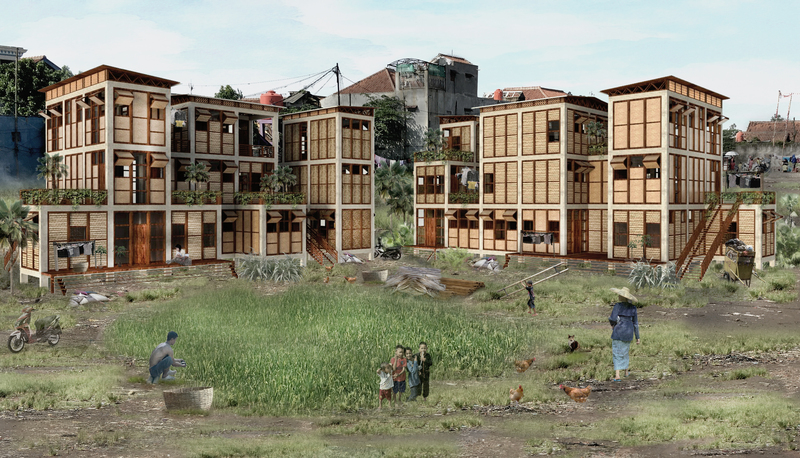 The ASN Bank has been looking for smart ideas to create a better world. 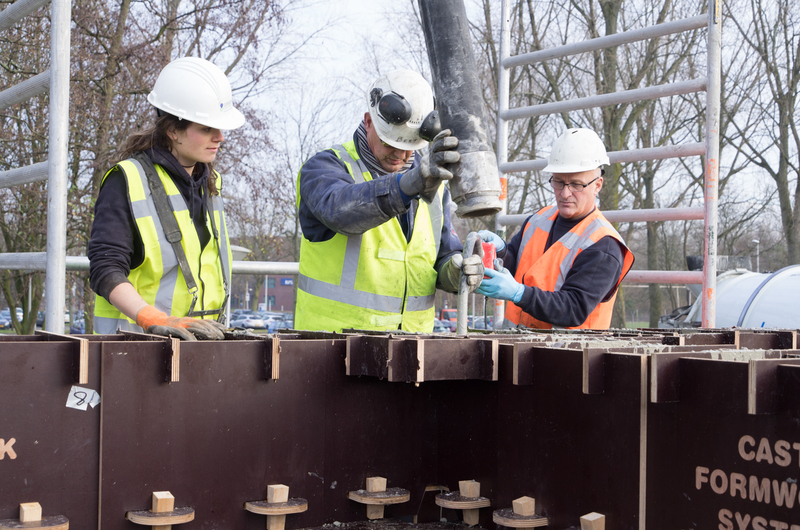 Their competition ‘Voor de Wereld van Morgen’ gives innovative entrepeneurs a startup boost if they win. 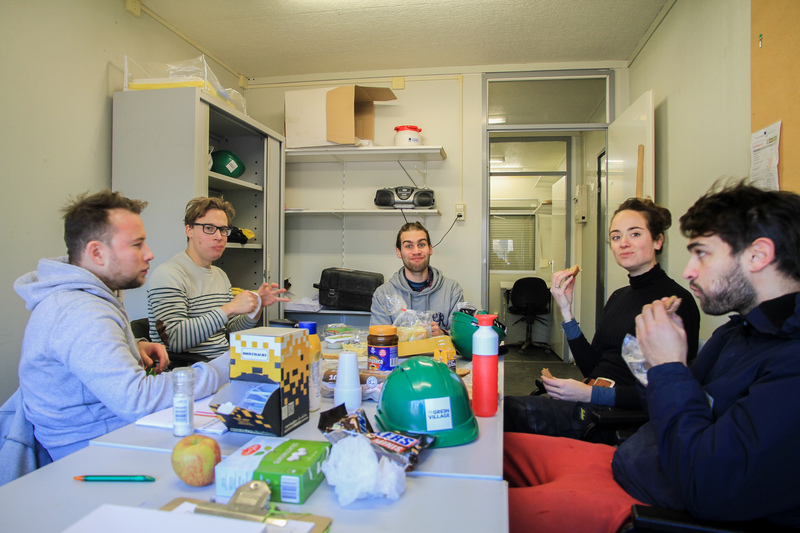 Coaching, training and publicity is part of the program and a cash prize of 40.000 will be awarded in the finale the 19th of november. 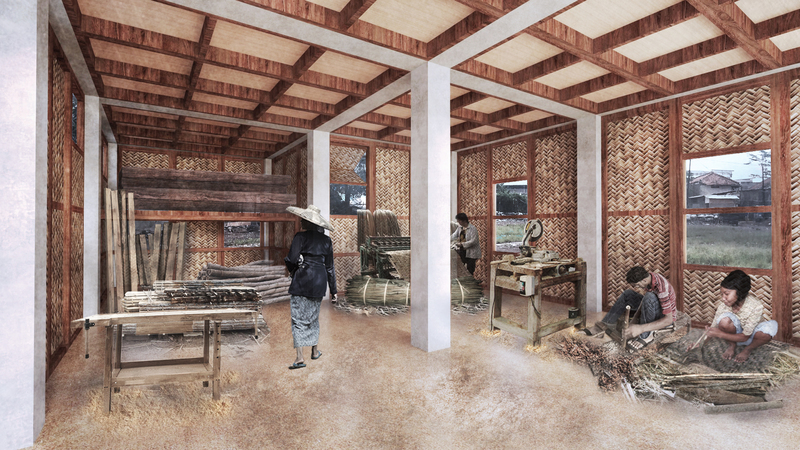 In three rounds the contestants will be eliminated from 50 participants to 15 participants. 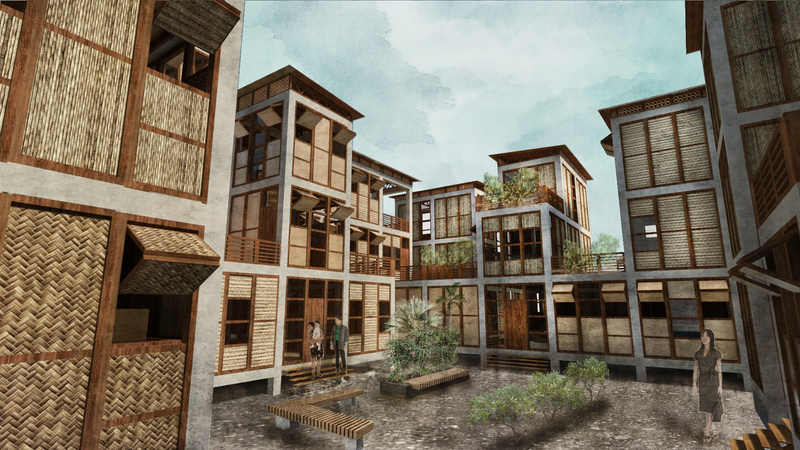 Tra-Digital Hybrids is with the last 25 projects that have one last round to go before the final. 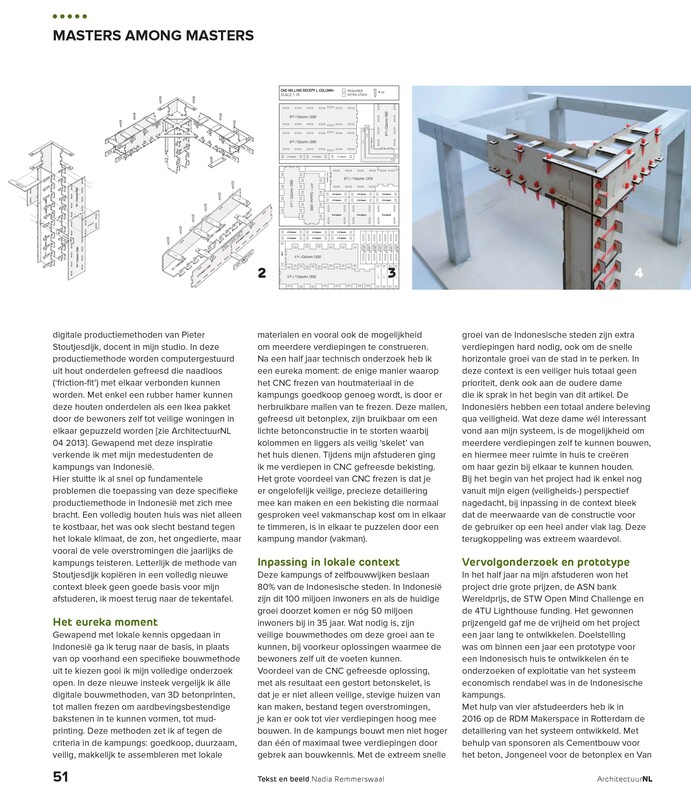 For more information please also check the AASN Bank blog. 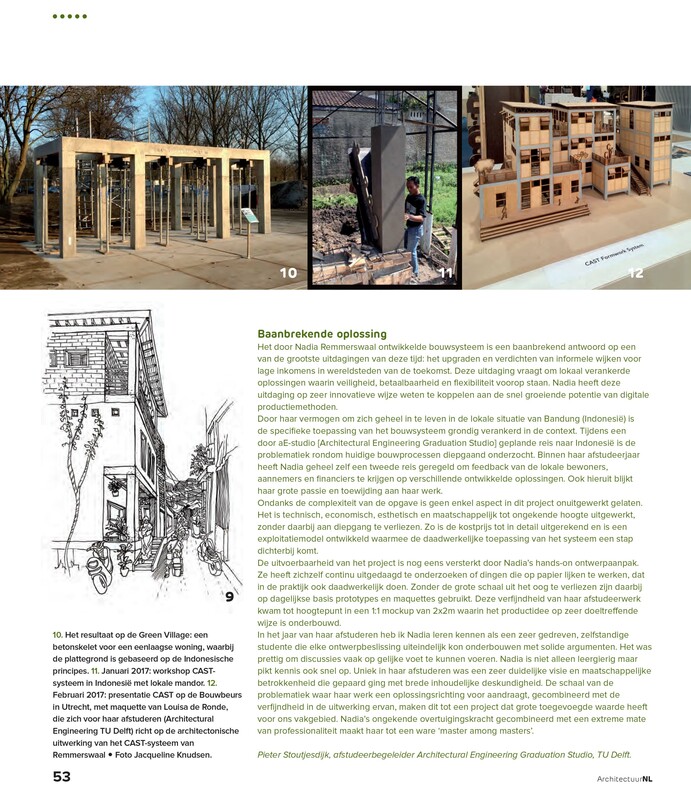 The Tra-Digital Hybrid is selected out of 130 submissions to pitch together with 14 other projects at the STW yearly congress the 5th of November. 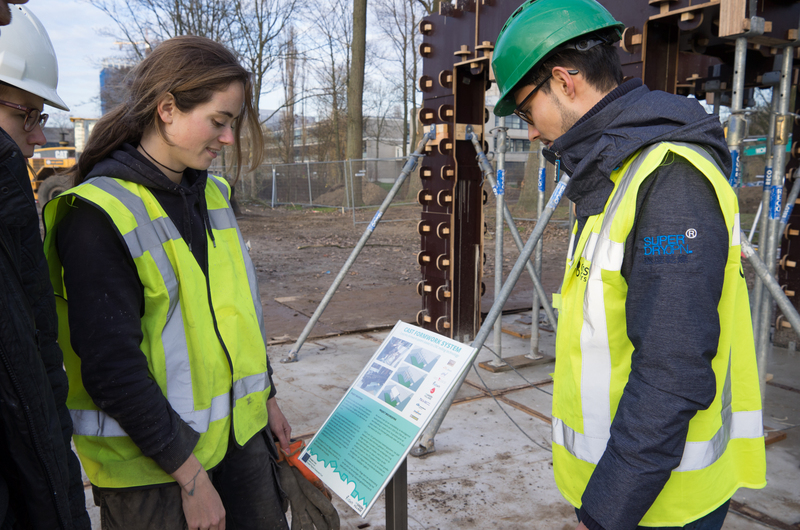 STW offers this subsidy, called ‘Open Mind’ to socially involved researchers that are full of original ideas to help the world. 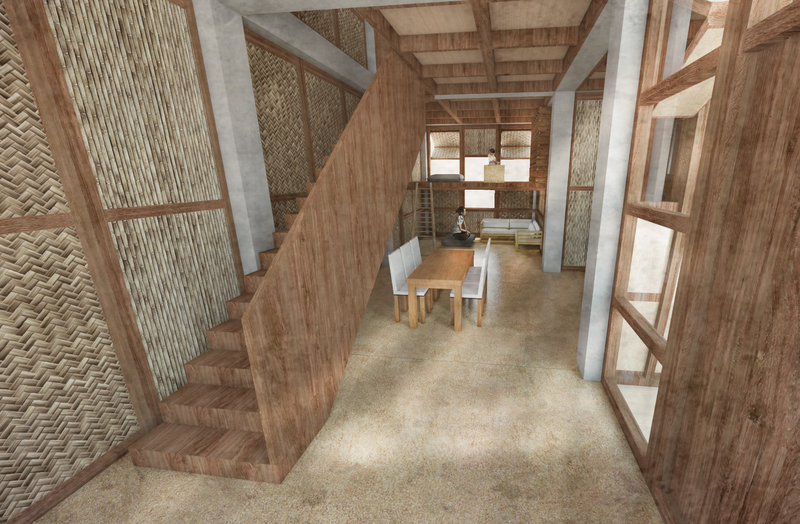 It gives the researcher a year to work out their idea. 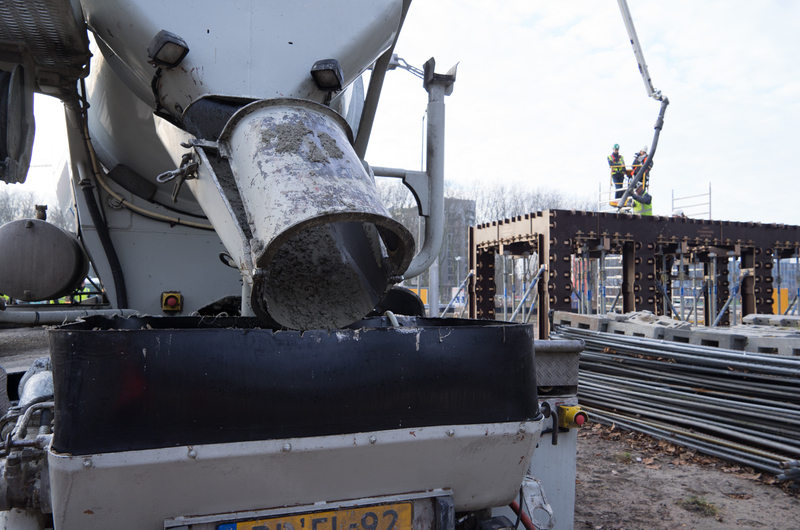 The prize money of 50.000 will be awarded at the final on the 5th of November. 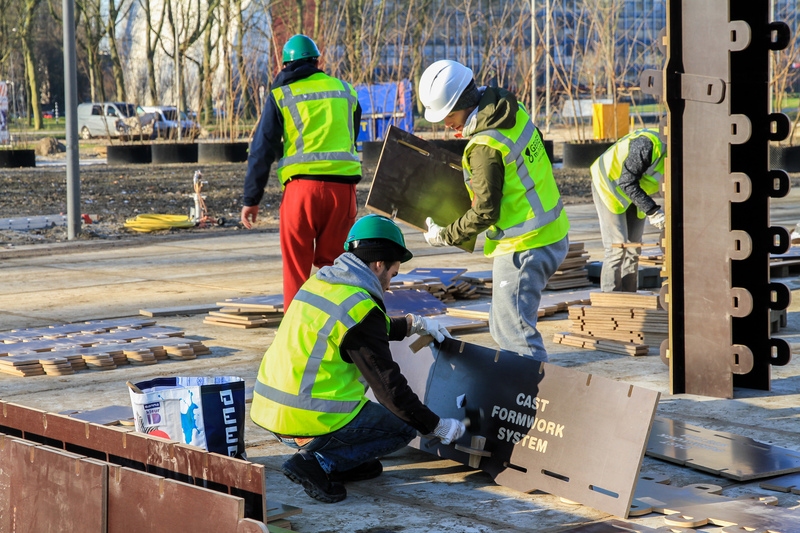 For more information on the selected projects please check the STW Open Mind Challenge program. 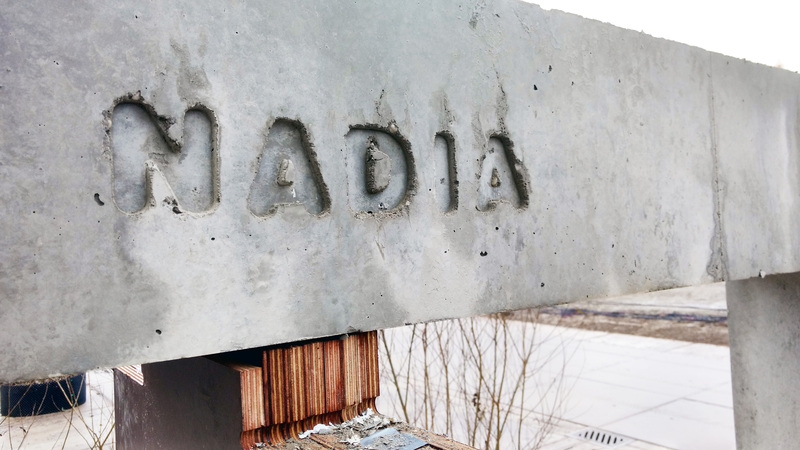 The Faculty of Architecture has chosen Nadia Remmerswaal for the election of ‘Best Graduate of the TU Delft’. 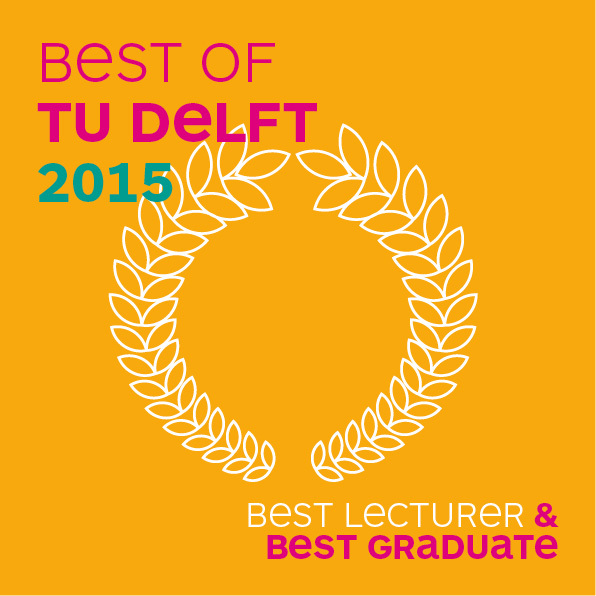 Every faculty of the TU Delft nominates its own best graduate and lecturer for the title ‘Best of TU Delft’. 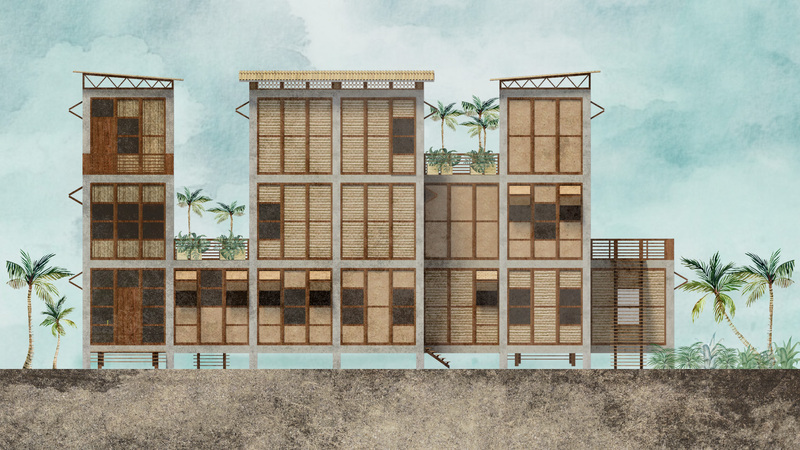 Nadia Remmerswaal was chosen with her project ‘The Tra-Digital Hybrid’ as Best Graduate of the faculty of Architecture. 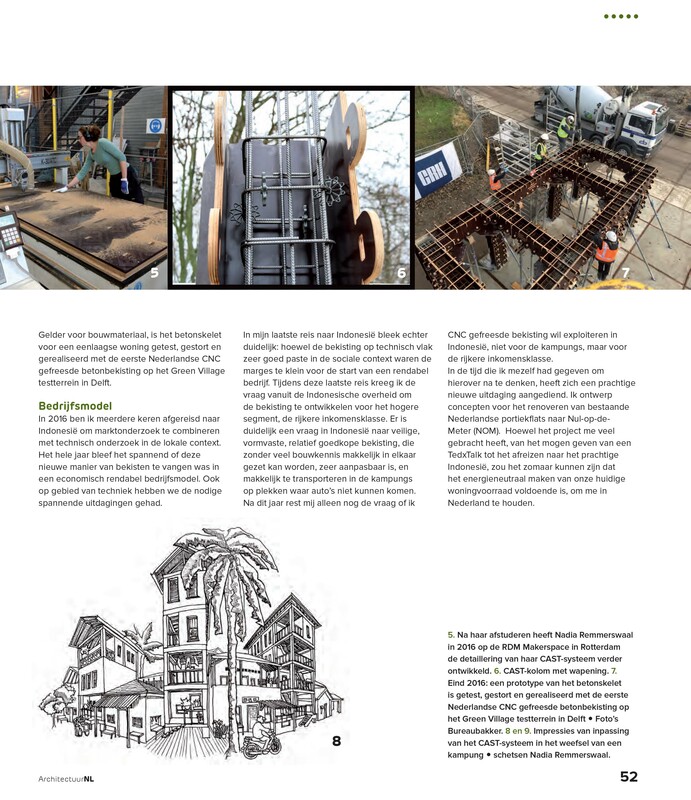 The final round of the ‘Best of TU Delft’ will take place on November 28 2015 and the winners will be announced in the Aula Congress Centre. 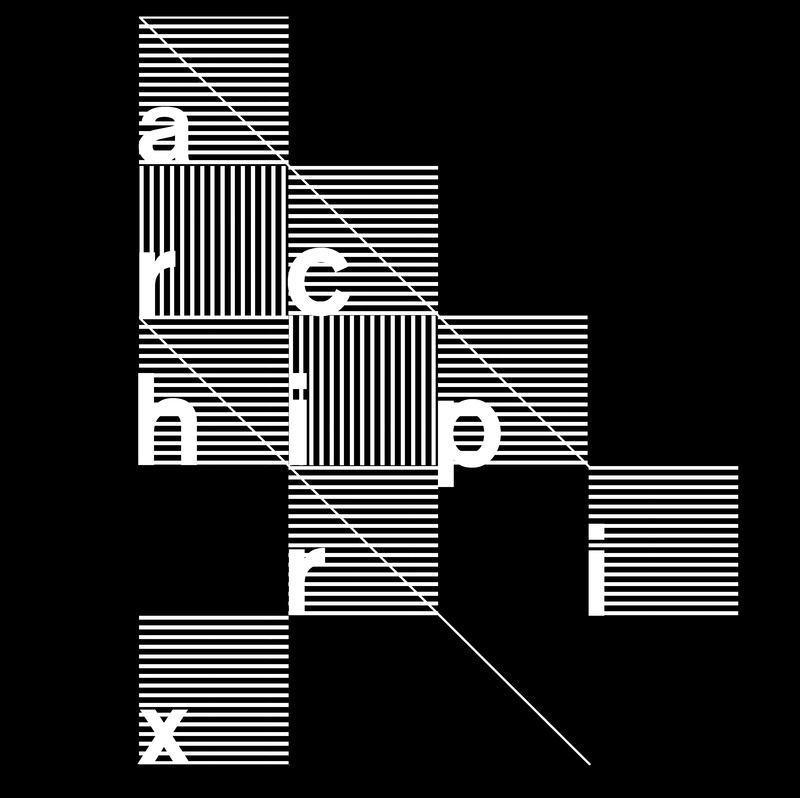 Tra-Digital Hybrids has been nominated for the Archiprix. 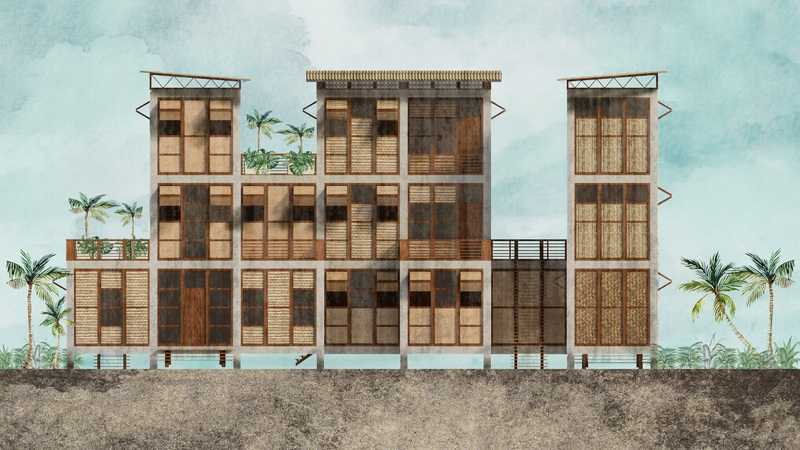 The Dutch design academies select their best architectural graduation projects for submission to the Archiprix, the price for best architectural graduation project of the Netherlands. 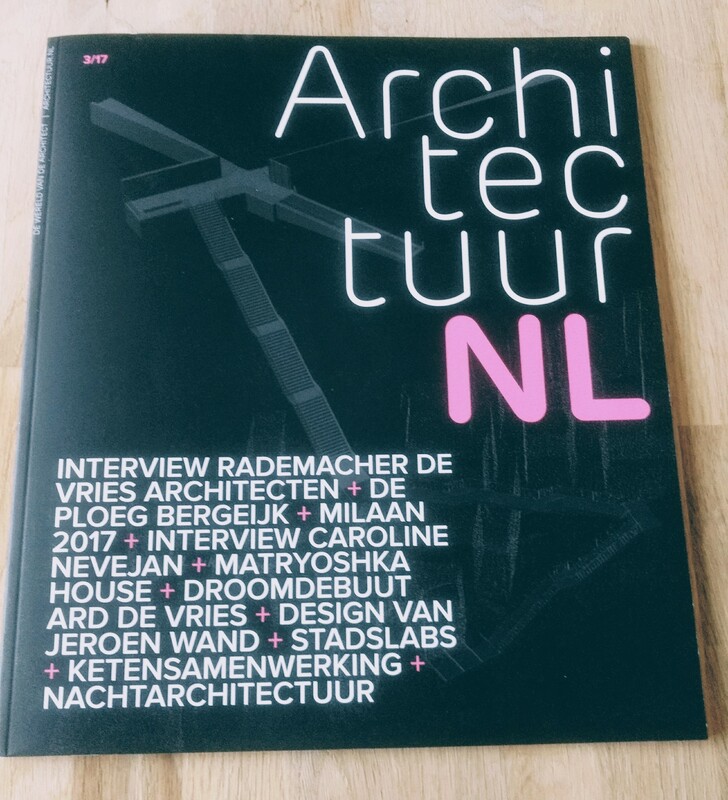 The 30th of oktober 2015 7 nominees will be chosen to compete in the Dutch national Archiprix challenge. 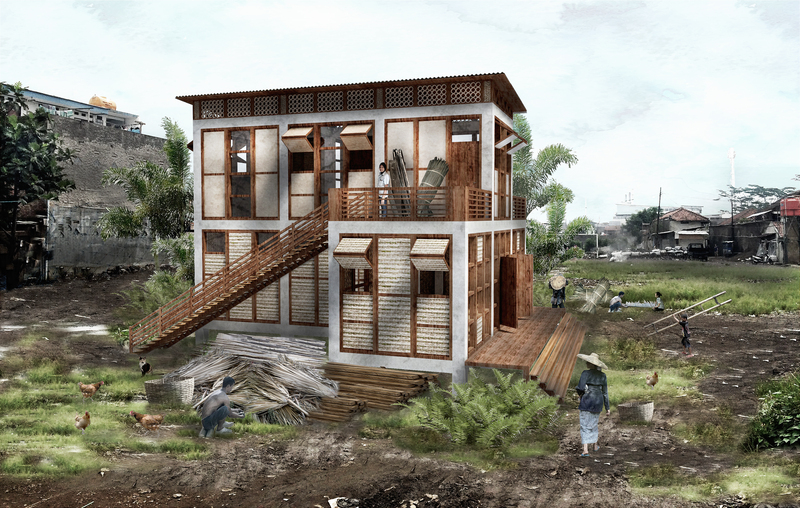 For more information, please visit the Archiprix Website.